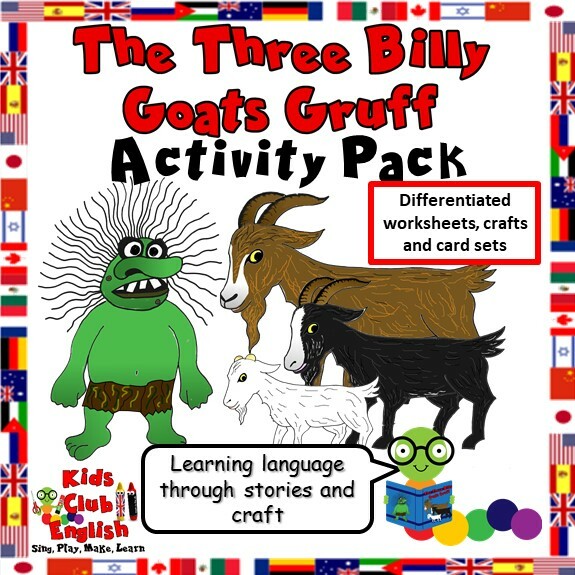 The Three Billy Goats Gruff is a classic folk tale of three goats who cross a bridge guarded by a mean troll. 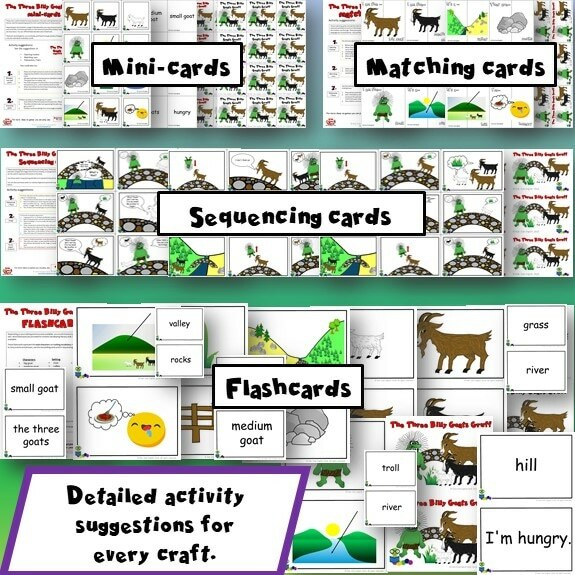 The simple story line and the fun ending of defeating the troll, make this story fun and accessible for young children. 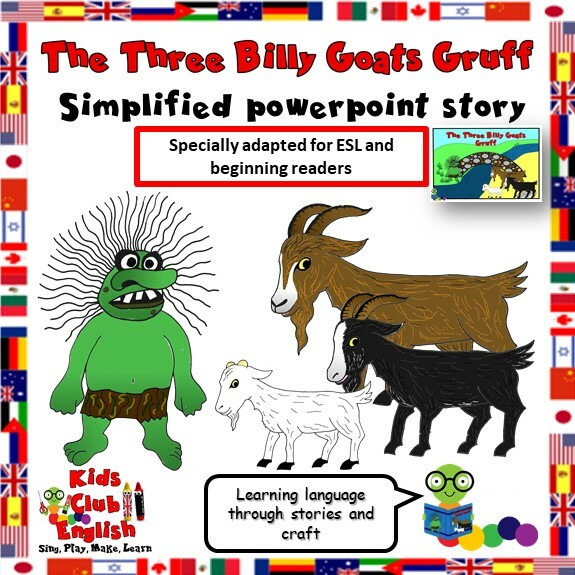 It’s an excellent story for second language learners to pick up useful phrases such as: ‘What’s that?’; ‘Who are you?’; ‘I’m the (small goat)’; ‘I want to..’ and ‘Please don’t…’. 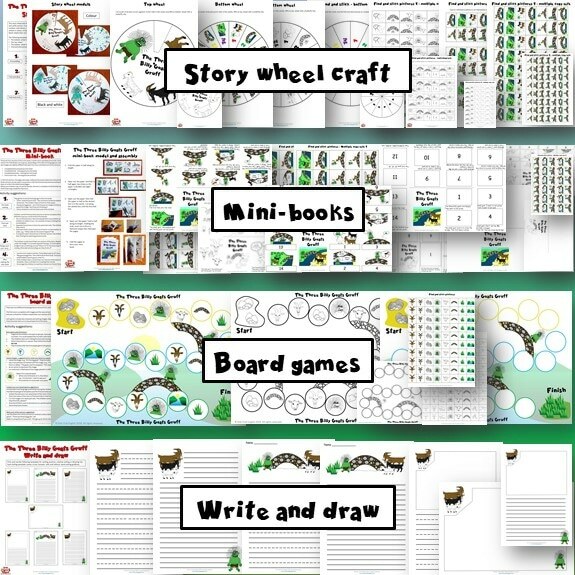 It’s also great for learning some related nature vocabulary, prepositions of place and movement, adjectives of size and acquiring adjective order. It also connects well to the topic of food. 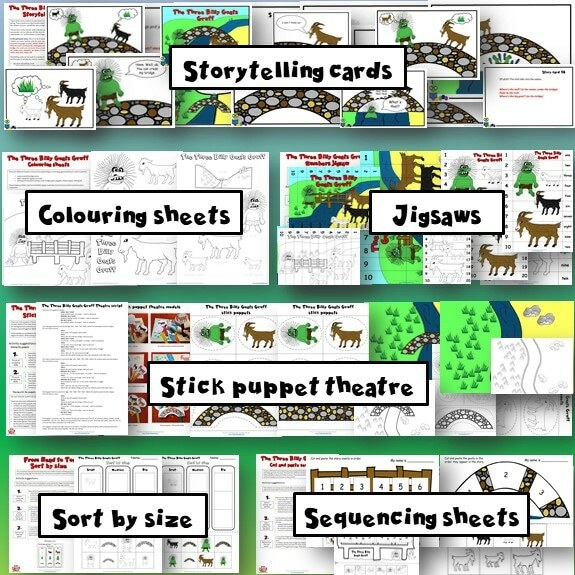 The story contains nature features such as valley, river, grass and bridge. Your kids can learn more related nature vocab with this collection of fun songs about nature.